Whether you need a powerful, high performance iron that makes short work of large amounts of ironing or a straightforward, low-cost model that gets the job done simply and easily, you’ll find a broad selection of irons to choose from here at Currys PC World. 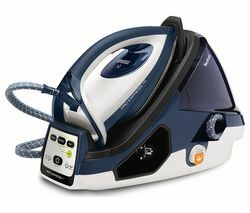 Our range covers all the top brands, including the latest Philips irons , and a wide selection of Morphy Richards irons . Your choice of iron will probably depend on how much ironing you do. 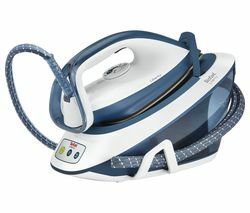 Those with growing families and large amounts of ironing to tackle on a regular basis may find that the benefits of a top end iron are well worth the extra cost. Powerful steam generator irons, like the Bosch TDS3872GB and the Tefal Pro Express GV8961, are able to generate considerably more steam than the average iron, ensuring more efficient ironing that gets quick, impressive results every time. Other smart features include limescale collectors to ensure your iron doesn’t decline as a result of limescale build-up and autocleaning soleplates that will automatically clear leftover particles. Advanced safety features, energy saving modes, automatic heat adjustment and steam noise reduction are among the other performance boosting features you’ll find offered by the latest irons. Laundry day has never been such a doddle.